Aliya Bonar makes installations, sculptures, and events that connect people through providing a playful and purposeful place to explore. In the past this has included installing childhood-bedsheet-quilt-forts inside a storage unit; opening a stuffed-animal Arctic Pet Shop; creating an imaginary world inside an un-rented office space, asking visitors to don a citizen badge and stamp their passport by telling personal stories through their journey. Aliya also makes up-cycled jewelry and clothing, imaginary-landscape quilts, three-legged stuffed animals, and delicious macrobiotic cookies. She is inspired by hardware stores, found objects, maps, trophies and awards, living rooms, animals, crawl-spaces, sleeping bags, hot pink, plush, gold spray paint, glitter. 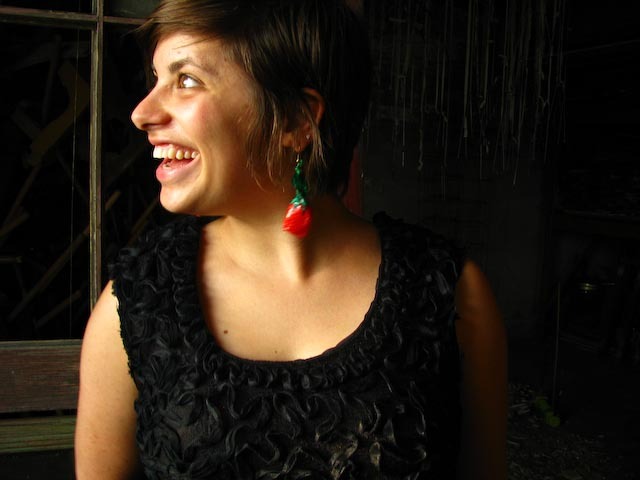 Bonar graduated from Hampshire College in 2009 with a BA in Socially Engaged Art. She currently works at Creative Time as a Community Organizer.